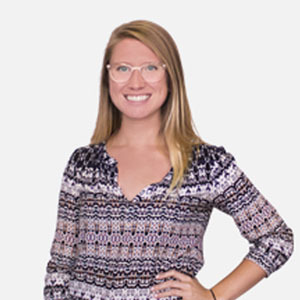 Hayley Samuelson is the Content & Community Manager of BioLite headquartered in Brooklyn & Nairobi. Follow them on Facebook, Twitter, Instagram, LinkedIn and YouTube and learn more at bioliteenergy.com. BioLite develops and manufactures advanced energy products for off-grid communities around the world. By incubating core energy technologies that can serve outdoor enthusiasts as well as rural families living in energy poverty, BioLite solves long-term, high-impact problems around the world. Energy sits at the center of our lives, keeping us safe, productive, and comfortable. Energy improves health, combats climate change, enables communication and education, generates income, and empowers women. BioLite products like the HomeStove & SolarHome 620 address the health and environmental challenges of smoky open-fire cooking and kerosene lighting. To date we’ve impacted 302,475 people, our products have generated 272,751,367 Wh of electricity and offset 193,772 Tonnes of CO2. For more information on our annual impact, view our 2017 Impact Report. In East Africa, traditional energy structures are often slow to form and rather than waiting for these outdated energy solutions to meet them, individuals are empowering themselves just a few watts at a time by adopting more practical, decentralized energy solutions. From the food we eat to the phones in our pocket, energy is being reimagined and reconnected to bypass this grid as we know it. These individuals inspire us to continue working to expand energy access to communities that need it most. Our latest mini-doc series, Connecting the Watts, features stories of individuals who are empowering themselves to power their lives. View the films here and learn more about the micro-revolution of energy in East Africa. In 2016, the BioLite team wrote a series of articles detailing what it takes to build a business of impact – including all the ups-and-downs we’ve faced along the way. Go off the grid with BioLite gear! Every time you purchase a BioLite product whether on our site or at a store like REI, a portion of that sale will be invested in our East Africa programs, bringing cooking, charging, and lighting to off-grid households so they can connect to safe, productive, and healthy lives.